Your fence does more than provide privacy, it also adds a touch of elegance and style to your home when well taken care of. 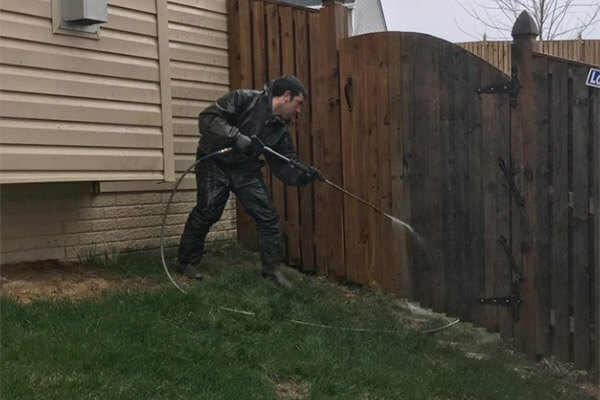 While most fence washing companies use powerful, harmful pressure washers for fence washing in Maryland, here at DeckMaster we use our unique PressureLess™ Cleaning System & Preservation System that is completely safe for your wood fence. 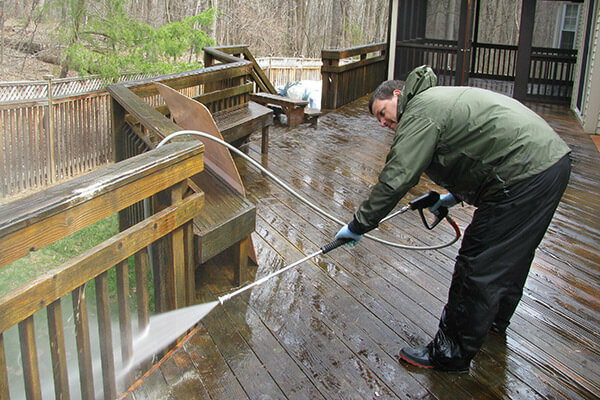 It is a non-toxic, biodegradable, safe cleaning solution that is applied to your fence in a high volume mist sprayer. 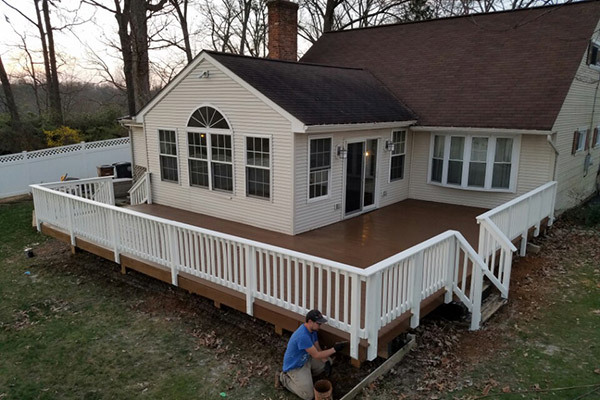 Rather than relying on pressure, we rely on our patented chemical process to remove old stains and sealers and restore the like-new appearance of the wood. It won’t cause cracking or splintering and even slows the growth of mildew. Price: $0.95 – $1.15 /sq. ft.
Price: $1.20 – $1.80 /sq. ft.
Price: $1.85 – $2.85 /sq. ft.
It’s inevitable – with time your wood fence will begin to fade and lose some of its beauty. 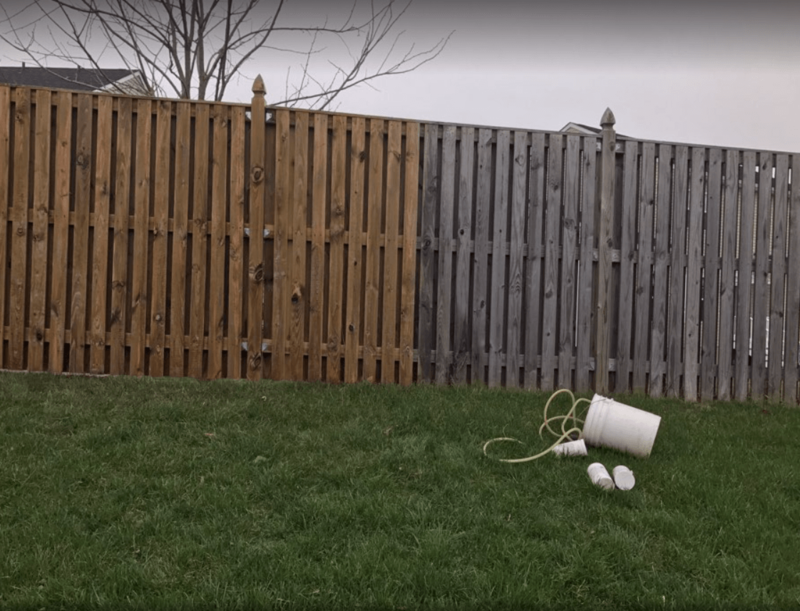 If you want your fence to look like it once did, call the professionals at DeckMaster™. 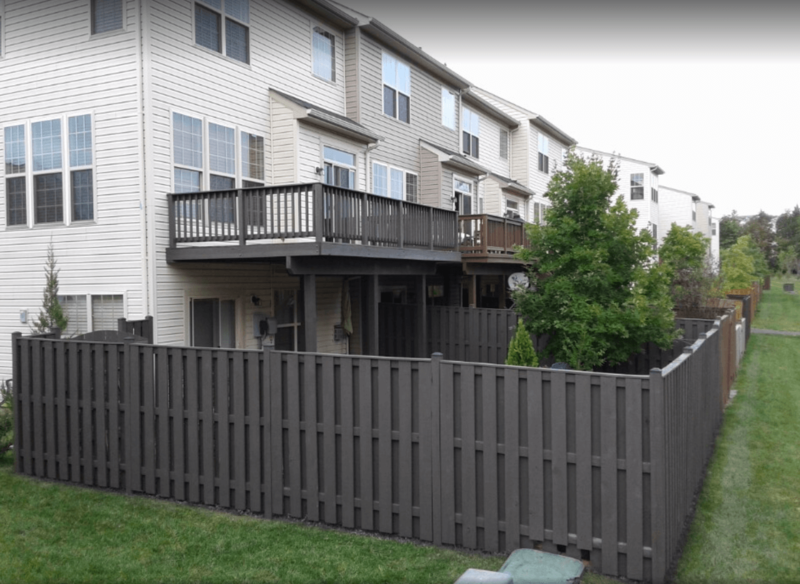 We are the company that people throughout Maryland and Virginia have trusted for years to provide superior fence cleaning services. Our fence cleaning leaves your wood ready for extra protection with our fence sealing + staining service. 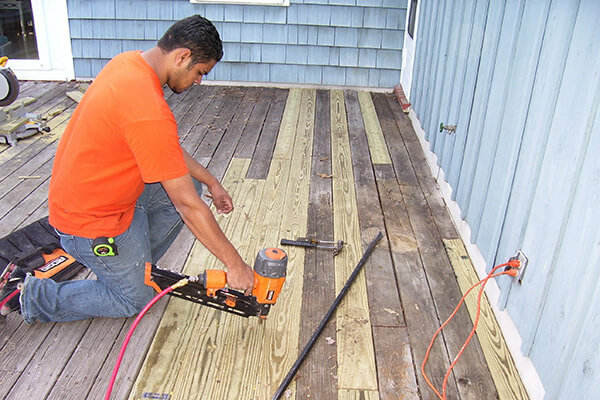 There’s no easier way to ensure you have a long-lasting and beautiful fence than by calling DeckMaster™. When we arrive to your home to perform our fence cleaning service, we will first perform a quick estimate and evaluation. No two fences are the same, so it is important that we determine which approach will be the best for your wood. Our goal isn’t to meet your expectations, it is to exceed them. One of the benefits of our advanced cleaning system is that is more efficient than pressure washers. This increased efficiency turns into reduced labor time and reduced costs. You get the best results at the best price. 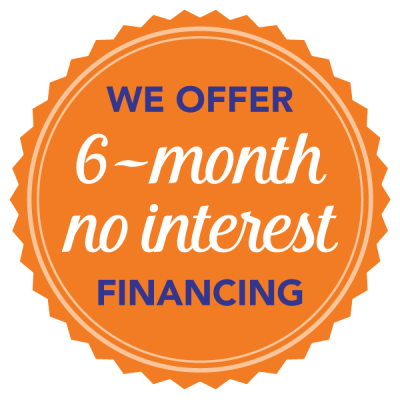 Our price match guarantee allows you to rest assured that you are getting the lowest price out of all the similar services in the area.